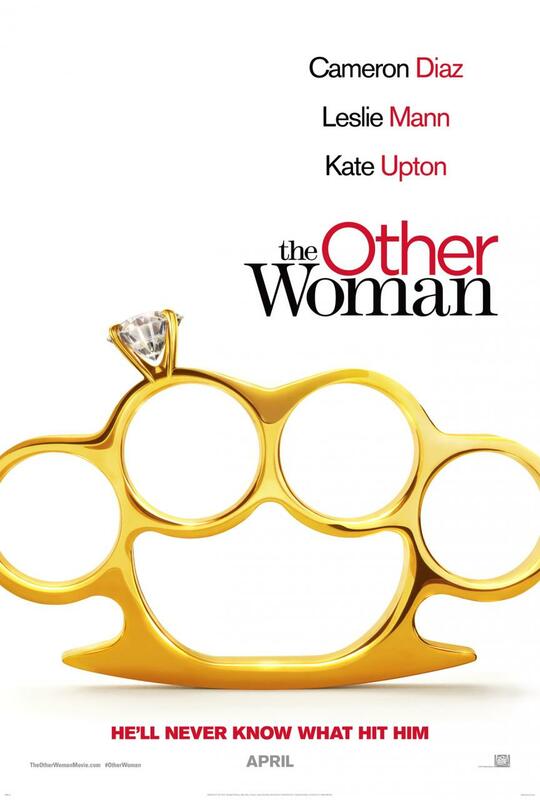 The Other Woman was supposed to be a “hilarious girl power movie” about a man’s mistresses and wife going after revenge when he gets caught repetitively cheating. “Hilarious girl power movie” is not what I spent 109 minutes watching. Cameron Diaz was okay in the role of Carly and Nikolaj Coster-Waldau was okay as Mark. Outside of those two actors is where we find the first flaw of the movie, acting. Leslie Mann as the wife; Kate, and Nicki Minaj as Lydia were both very hard to enjoy because of their choices in the way they portrayed their characters. Mann’s whiny delivery got very old very fast and Minaj’s accent sounded like a ratchet Barbra Streisand. They could have been delivering some of the funniest, most poignant lines ever spoken in a comedy, but I will never know it. I just wanted them to stop talking! Obviously, I could also back a truck over Kate Upton’s acting, but I won’t. She was brought in to play a role that she was perfect for; the younger, blonder, bigger breasted mistress. She can do that effectively by just standing there and waving to the camera. No need to criticize that. Scenes that focus on Leslie Mann’s character of Kate are the worst for this. In the audience’s introduction to her, she takes a funny joke about needing “brain camp” and proceeds to run with the joke to the point where it becomes truly awkward to watch. The scenes with Mann and Diaz together are also very predictable. The two actresses have good chemistry, but that chemistry is wasted due to some bad writing and direction. Where the comedy failed the most is in the revenge plot itself. The truly petty acts that were chosen by the women led to pay off scenes that were mildly funny, but completely unoriginal. The execution of the revenge plot finale also seemed to be an afterthought. The petty acts are supposed to be part of a larger “master plan” that you quickly realize doesn’t exist. There is a scene where Don Johnson’s mouth is moving, but you hear Cameron Diaz’s voice. It is like an old Kung Fu movie or something. It was a sign of some half-assed or rushed editing. How could a movie as flawed as The Other Woman make it to the screen to be seen in public in the first place? Conventional wisdom would state that someone in authority would have said, “Whoa, we have some issues here that we need to address first.” I know that bad movies get made every day, but this is not supposed to be a bad movie! Cameron Diaz could have lost a bet with Drew Barrymore with making The Other Woman this way as the stakes. Nick Cassevetes, the director, could possibly be in debt to the mob and needed quick cash. Twentieth Century Fox might be playing a belated April Fool’s Day joke. Maybe Al Qaeda has infiltrated Hollywood and is using the film industry to destroy us by rotting our brains and destroying our IQ points. Root cause aside, if you do decide to go out and give this one a chance, you will laugh, albeit not as much as you should. Diaz does her thing and the rest can be passable to the right person. Overall, if you keep your expectations super low and can drink enough to get your standards for acting down to the right level; you might even enjoy it a little.